Jeff Gorell, a Camarillo resident, will present “LA 2028: Safety and Security in America’s Second-Largest City” from 8 to 9 a.m. Friday, Nov. 9, at the Warner Center Marriott in Woodland Hills. 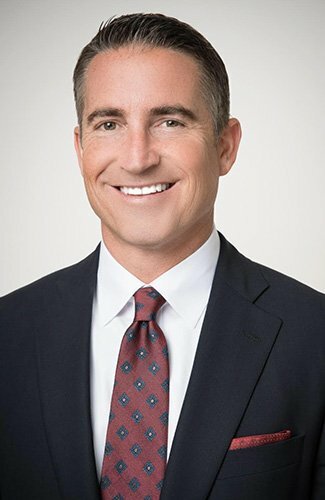 (WOODLAND HILLS, Calif. – Oct. 22, 2018) Los Angeles’ Deputy Mayor of Public Safety Jeff Gorell will discuss security for the 2028 Summer Olympics at the next California Lutheran University Corporate Leaders Breakfast. Gorell, a Camarillo resident, will present “LA 2028: Safety and Security in America’s Second-Largest City” from 8 to 9 a.m. Friday, Nov. 9, at the Warner Center Marriott in Woodland Hills. Breakfast and networking will begin at 7:30 a.m.
Los Angeles is preparing to host the 2028 Summer Olympics. The Los Angeles Police Department will sit at the top of a unified command, with the United States Secret Service the lead federal agency in charge of event security. Gorell has served as Los Angeles’ deputy mayor for homeland security and public safety since 2015. He supervises a staff of 65 and oversees programs with more than 30,000 employees, including the police, fire and emergency management departments.The Mayor’s Office of Public Safety also houses LA’s Gang Reduction Youth Development program, the Mayor’s Crisis Response Team, LA Cyber Lab, the Mayor’s Office of Resilience and three federally funded homeland security and counterterrorism programs. Gorell sits on the Executive Steering Council of the U.S. Domestic Nuclear Detection Office and serves as chief administrator of the Los Angeles/Long Beach Urban Area Security Initiative. He and his senior staff coordinate with regional, state and federal agencies to ensure that Los Angeles is prepared for public safety emergencies and natural disasters. A member of the U.S. Navy Reserve, Gorell has been deployed twice to Afghanistan, where he was decorated for leadership in a combat zone. He is currently the commanding officer of a Pacific Fleet intelligence unit in San Diego with more than 75 officers and enlisted personnel. Gorell represented parts of Ventura County as a member of the state assembly from 2010 to 2014 and served as a district attorney for the county from 1999 to 2006. He taught in the graduate public policy and administration program and the undergraduate political science department at Cal Lutheran from 2007 to 2014. The Corporate Leaders Series brings members of the business and civic communities together to hear from prominent leaders. The series will continue with the following presentations: Museum of Ventura County Executive Director Elena Brokaw, MOXI CEO Robin Gose and Santa Barbara Museum of Natural History CEO Luke Swetland on the next generation of museums Jan. 29 in Santa Barbara; Los Angeles Cleantech Incubator senior adviser Amanda Sabicer on sustainable energy March 8 in Ventura; and VSolvit CEO Payal Kamdar on technology solutions May 7 at Cal Lutheran. Reservations are requested by Nov. 5. To RSVP, contact Sharon Nelson at smnelso@callutheran.edu. For more information, go to callutheran.edu/clb.